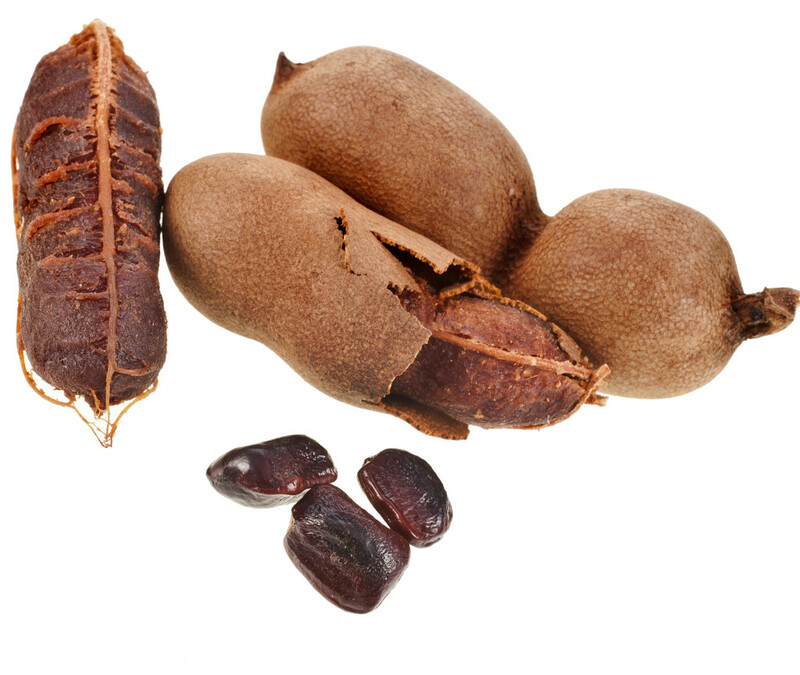 Tamarind is a fruit that grows in the pods of the tamarind tree. It has a distinctive sour flavour and is used around the world in a variety of ways. It adds the sour tang to pathia curries; it gets made into ice-cream, chutney, and sweets; and is a key ingredient in Worcestershire Sauce. All in all, it’s a pretty versatile little beast and its wonderful sourness enhances many dishes. I’ve never seen the fruit itself on sale, but blocks of tamarind pulp and jars of ready-prepared paste are easily found. Make two dishes, one savoury, one sweet, using tamarind as a significant ingredient in each. You are free to choose any dishes you like – the ones linked above are simply examples. You may use either tamarind pulp or paste, as you prefer. Far and wide I shall travel, fat and happy I shall be. I’m surprised that you’ve never seen Tamarind fruit. I’d think it would me much more readily available in England than in the US. While my down-the-block supermarket doesn’t have it, I know of at least three Asian-focused supermarkets where it’s readily available. I buy the not-from-concentrate paste in a jar for the convenience. I don’t think it makes that much of a difference if it’s an ingredient. It’s a MUST for Malgalorean-style coconut curries. There you go. I don’t know of any round these parts – that’s the price of living in a rural area away from the cities. I’d guess Birmingham would be the nearest likely source to me, and trekking there and back would end up taking a very large chunk of the day. Anya may fair better as she lives in London.